What content is required for a search engine marketing? Content is a big part of SEO and PPC, the two base foundations of a strong search engine marketing campaign. Content isn’t just about putting words on a page. It is about formulating enticing copy that delivers a company’s unique selling points quickly without waffling on. This delicate balance is something that is true for both SEO and PPC marketing campaigns. Below, we will run you through just how content comes into a search engine marketing campaign. Details on content in SEO and copy for PPC will be discussed in order to give you a clear idea of what content for SEM really is. SEO content – what, where and why? Strong content, along with good links, are at the core of any basic SEO campaign. The term content in SEO can refer to a number of areas. First and foremost is the content on key pages of your website, primarily your homepage. Setting up your homepage as a type of contents page for the rest of your website is good practice SEO. It should target broad keywords that are relevant to your industry. Then other pages, like you individual service or product pages, drill down on the specific keywords that will bring in buying customers. Your homepage should then link down to the service/product pages to ensure Google’s crawlers identify them. This is simplifying a complicated process, but gives you an idea of how it works. As a result, content is developed for all pages that your SEM manager has identified to be beneficial for SEO – i.e. any page that relates to keywords that deliver high traffic or conversions. The other area content is concerned for SEO is on your website blog. Producing articles about keywords related to your industry ensures you are implementing fresh content on your website that supports the keywords you are trying to rank your product/service pages for. Again, this is a basic example of content on blogs. Just posting anything without a structure or plan can be a waste of resources. PPC content – what, where and why? The PPC content side of SEM refers to the copy that makes up your ads on Google or Bing. There is limited space for content in a PPC ad, making it integral that you include only relevant information. As in SEO content, your ad copy should focus on unique selling points of your business – anything to set you apart. Unlike SEO content, you won’t have 300-500+ words to work with. PPC content is the height of copywriting and marketing communications. A few words can mean the difference between converting a customer and wasting your entire budget. Because of this, it is a smart move to have professionals handle your PPC content. The two areas above detail the basics of SEM content. 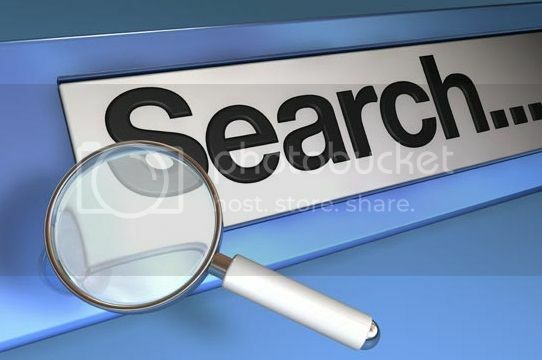 Search engine marketing involves a range of other areas that, when coupled with content, can ensure that you dominate both the organic (SEO) and advertising (PPC) traffic sources offered by search engines. Internal links are a great example of another SEM facet that interacts directly with the content on your website to improve SEO – something we will touch on at a later date.